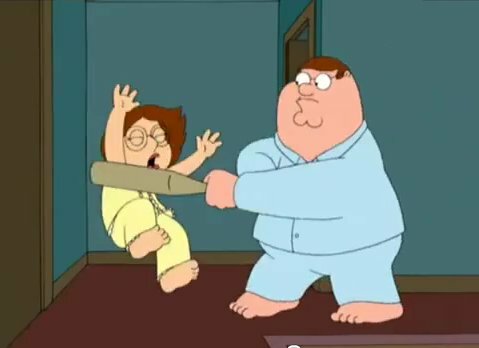 Peter hits Meg with a bat.. . Wallpaper and background images in the फैमिली गाय club tagged: family guy meg griffin family guy. This फैमिली गाय photo contains मोबाइल फोनों के लिए, हास्य पुस्तक, मंगा, कार्टून, एनीमे, कॉमिक बुक, and manga. OMG! This is the funniest thing I've seen all day! Oh My God!that's was so funny when peter hits meg with the baseball bat! It's always Meg who gets hit. WHY!? That's so unfair!